We do basement foundations every day! Residential homes are our specialty, but we have the experience and tools to build whatever you can think up! If you would rather build your home on a crawlspace, we do that too! Bring us a blue-print and our team can get you a bid quickly. We offer a full spectrum of landscaping services as well! Whether you need your hedges trimmed, or would like to set up an annual plan to take care of all of your landscaping needs, we have you covered. When we pull up to a home site, we typically meet with the home builder and home-owner to establish the grade height. This will tell you how your yard will look and we will make sure to set it in a way that will keep the water away from your home. We will then Excavate the site and set up concrete footings that will become the footprint of the basement walls. We use a quality drainage system to ensure that all ground water around the basement will be properly directed so that you keep a dry basement. Then basement walls are framed and poured, and a waterproofing product and insulation are installed. 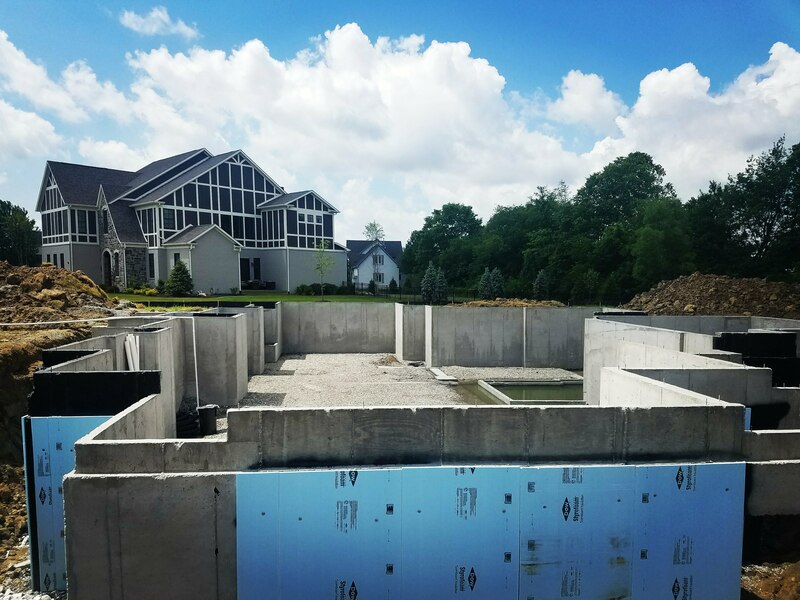 Basement plumbing, slabs, and backfill dirt all continue the process of building your firm foundation!